Bless you, Pinterest. I’ve discovered yet another most delicious holiday treat. 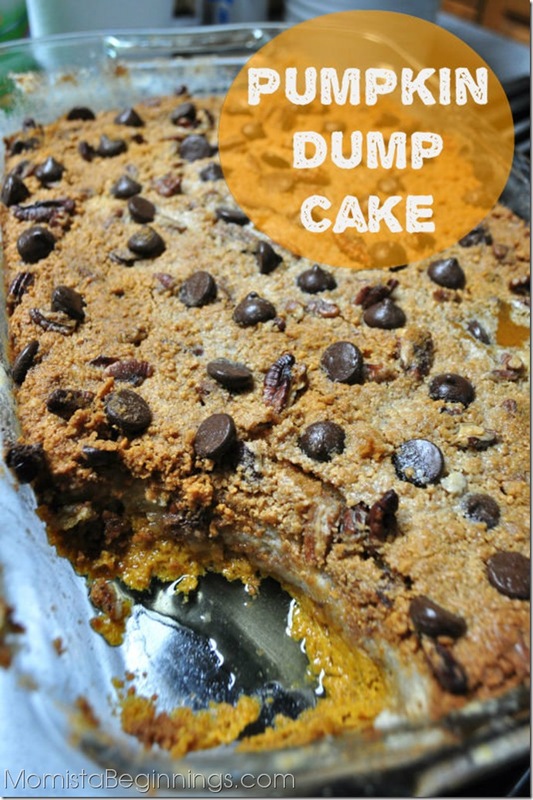 I bring you… Pumpkin Dump Cake! 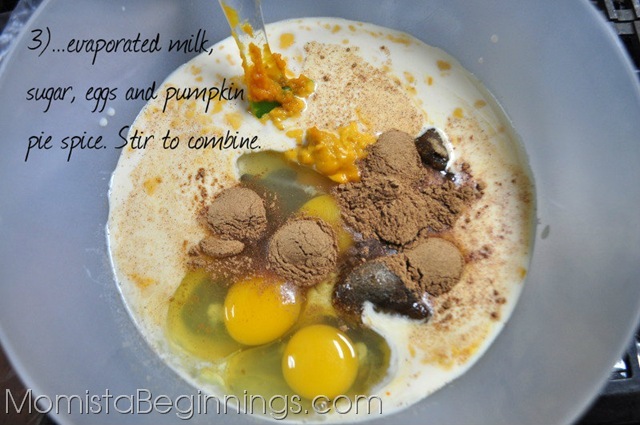 Well, actually Cookies & Cups brings you this fabulous recipe. I only tweaked it a wee bit. I just made it tonight and it was “the best dessert you’ve made so far” according to my husband. Now, that’s quite the review. How can something this easy be so dang amazing? It’s true, folks. See for yourself. 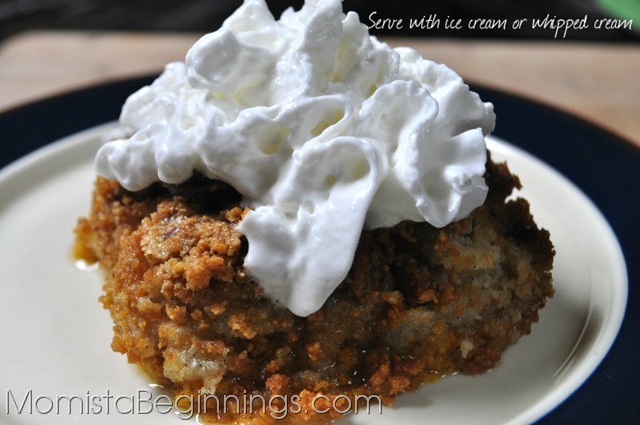 This delicious fall dessert was such a hit, my husband claimed it to be the best dessert I've made yet. 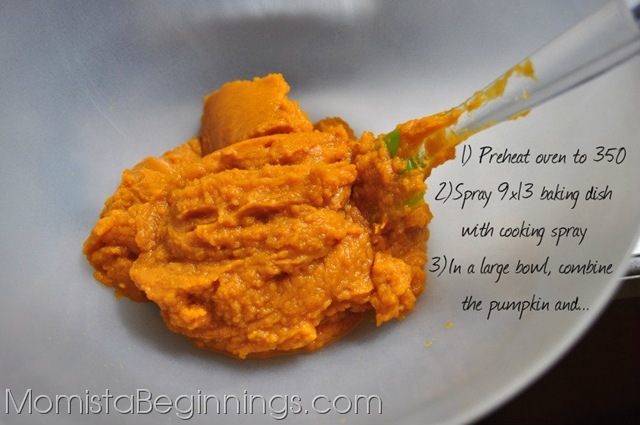 I found the original recipe at www.cookiesandcups.com and tweaked it a bit for my liking. 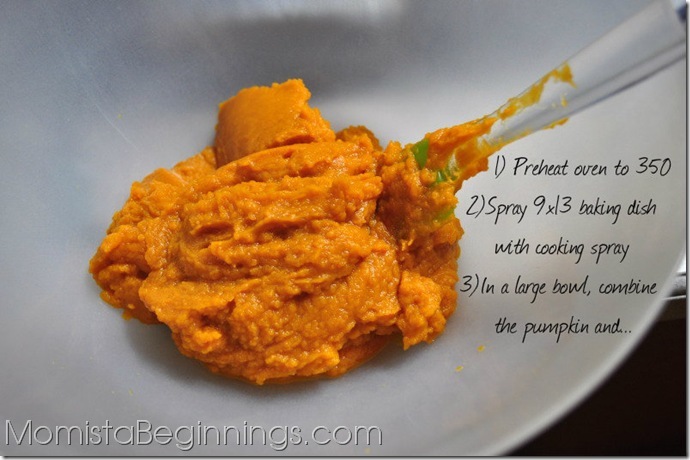 In a large bowl, combine the pumpkin, evaporated milk, sugar, eggs and pumpkin pie spice. Whisk together. 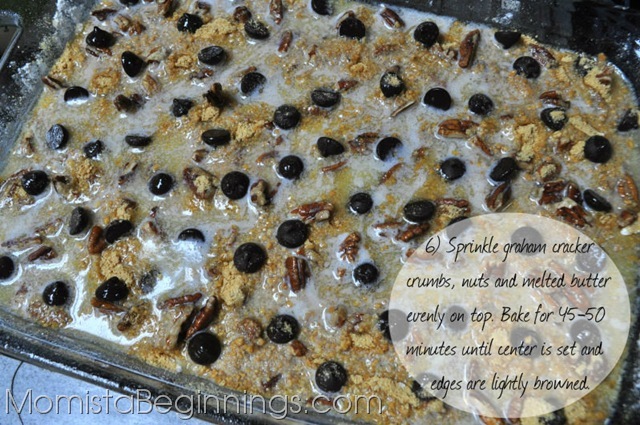 Sprinkle the entire box of cake mix on top of mixture, followed by graham cracker crumbs, nuts and chocolate chips. Best served warm with a scoop of ice cream or topped with whipped cream. This was good. 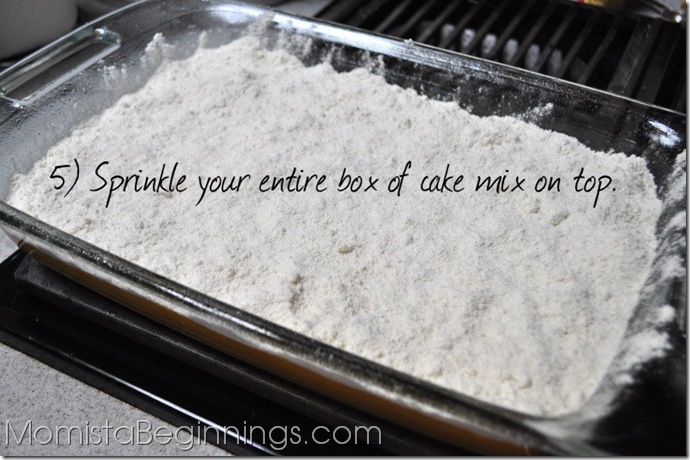 i used a spice cake mix because that is what I had on hand. I would make again! 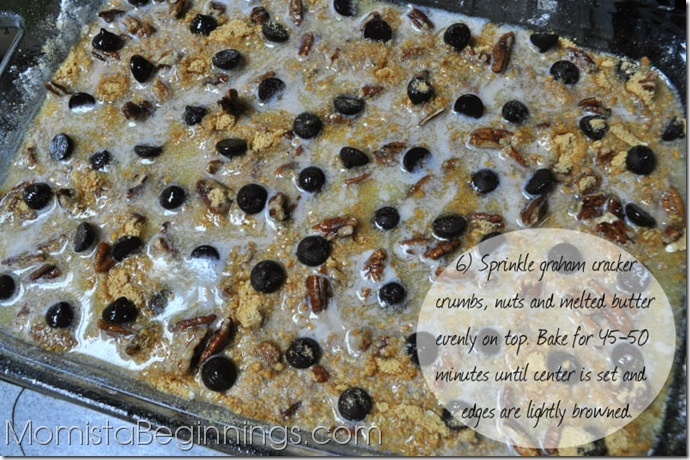 I am sure this would be great with butterscotch chips subbed for the chocolate chips. 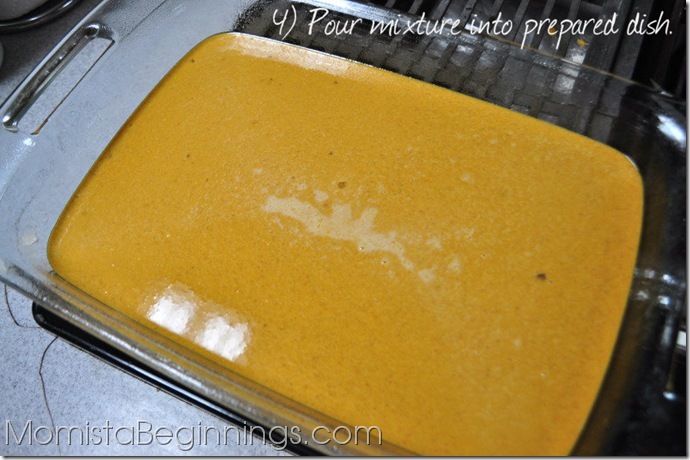 Have this is the oven right now as you have it. Cant wait!